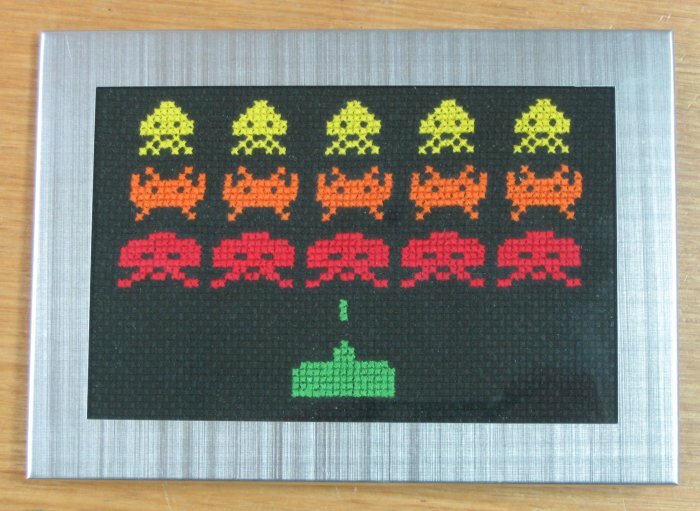 It began with a space invaders cross-stitch, adapted from this pattern from The Anticraft. 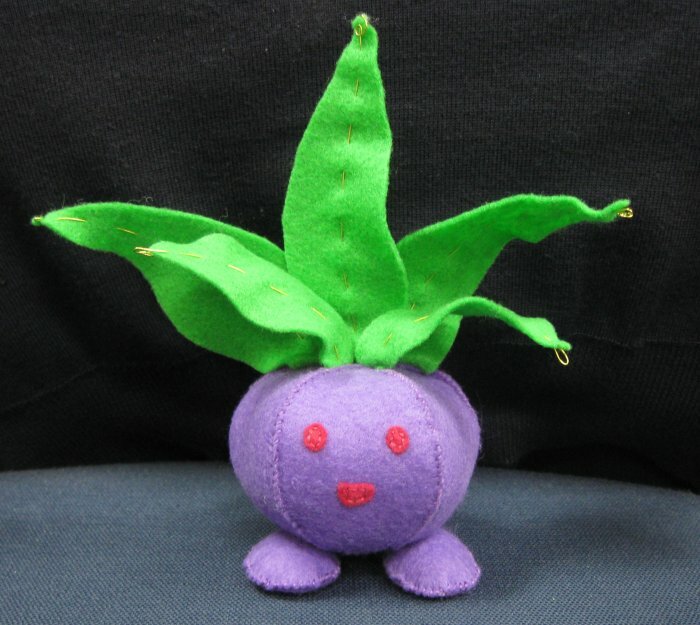 Next off the blocks was a plush Oddish doll (Dad was going all retro with Pokemon Silver at the time), using this basic pattern from Netherwood Creations as a starting point. I adapted it by threading the leaves with gold wire, making them characterful and posable. 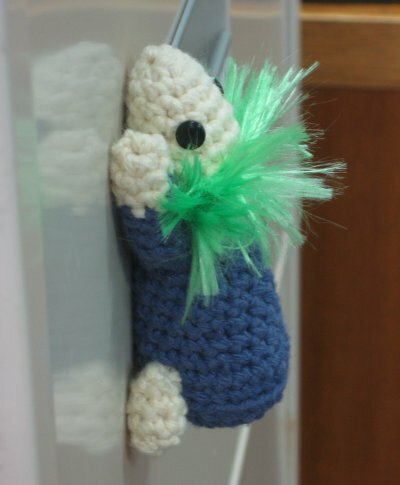 Each lemming is awsome in its geeky power (at least, for those of us who remember the computer games of the nineties), but my absolute favourite is the climbing lemming. This little critter has a biiig magnet embedded in its stomach. The plan was that dad could stick it on a filing cabinet or something, but it travelled around our house for weeks. It appeared on door frames, on light fittings, underneath tables, inside the pantry, stuck on ceiling fans…it is a lemming of extreme intrepidness. I’m pretty sure this geeky gifting trend is going to continue. 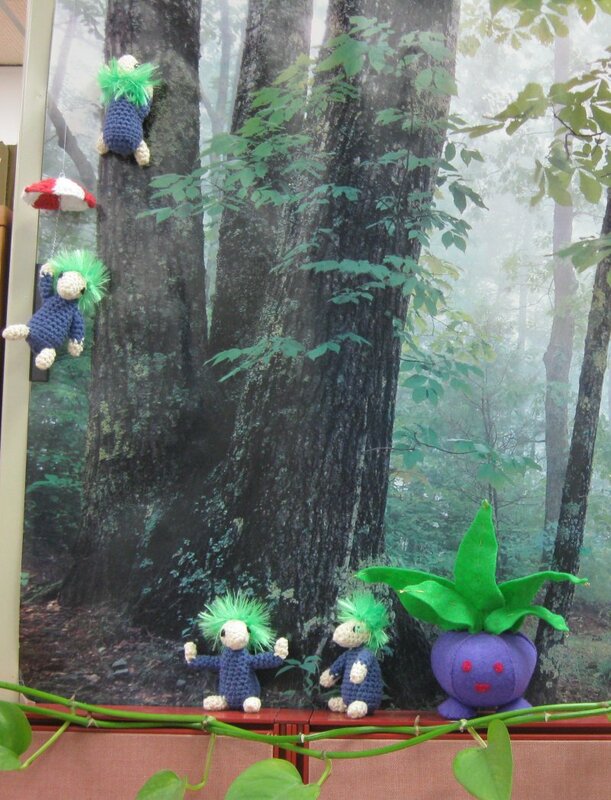 Sure, Dad has lemmings now, but everyone needs More Lemmings. When I get back to Australia, I have to find out how to make these!